Social media has, without a doubt, changed how we communicate and engage with one another. Twitter, specifically, has grown tremendously over the past few years. It is currently seen as one of the leading platforms for instant messaging due to its power to connect diverse, and previously inaccessible people, with each other in seconds across the globe. Twitter allows you to direct your message to the intended receiver, and to tag other people who may be instrumental to the message in real time. You can engage with the president of South Africa, for instance, and Oprah Winfrey over one tweet, and include a hashtag, meme or Gif to make your message more appealing. That is how powerful it is! 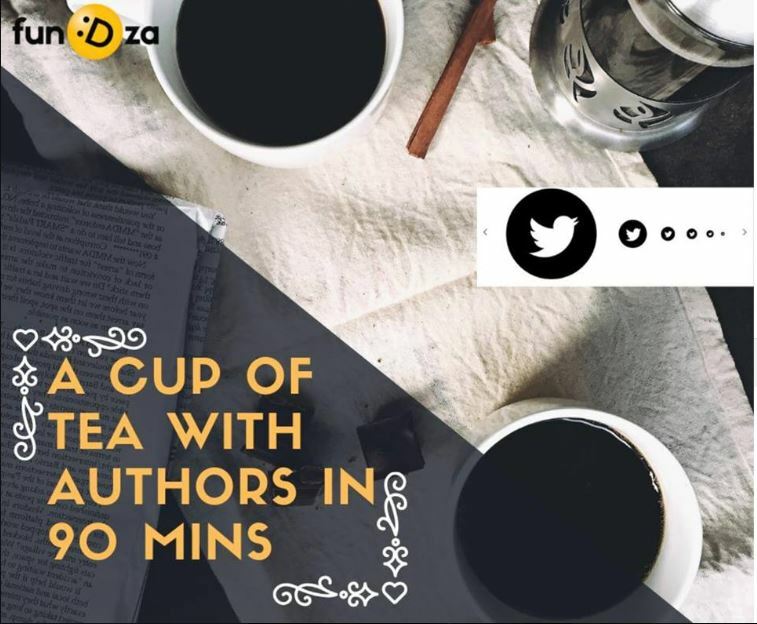 It is because of this unique power and easy to use features that we decided to host a twitter chat with FunDza writers and organisations working in the literacy space over a period of two hours – a cup of tea with authors, we called it. And what a well distilled tea it turned out to be. This chat was in celebration of National Library Week, echoing the importance of forming alliances with libraries and shining light on our local young writers whose work has been either celebrated in the FunDza platforms or well received by readers in South Africa. Joining us for the chat were authors Sifiso Mzobe, Kaydee Mashile, Zimkhitha Mlanzeli, Ros Haden and Ndibulele Sotondoshe. We were also joined by FunDza staff members, our online community and literacy organisations such as SA Book Fair, Activate Change Drivers, Perfect Love Publications and Cover2Cover Books to mention but a few. Equally worthy of mention is how joyful it was to have people who are not particularly switched-on in terms of using Twitter participating and showing interest in engaging with this platform. I will be the first to admit that using technology can sometimes be seen as daunting and scary but once you get the hang of it, you will most certainly get hooked and enjoy the convenience of such platforms. 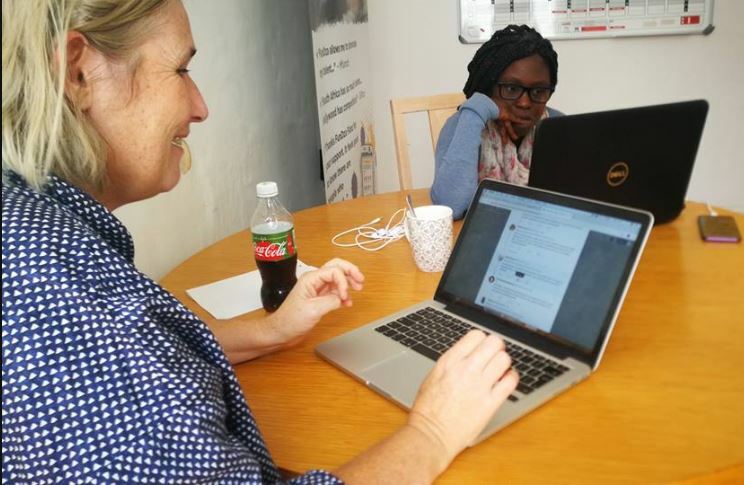 The twitter chat gave us more insights on what each writer is current working on and the challenges they face when they have to either get published or what they do to overcome a writer’s block. Thank you to all who participated in the chat, we will be sure to inform you of the following tea to be served on Twitter courtesy of FunDza.